Someone went through a lot of trouble to create a compass in the sand. 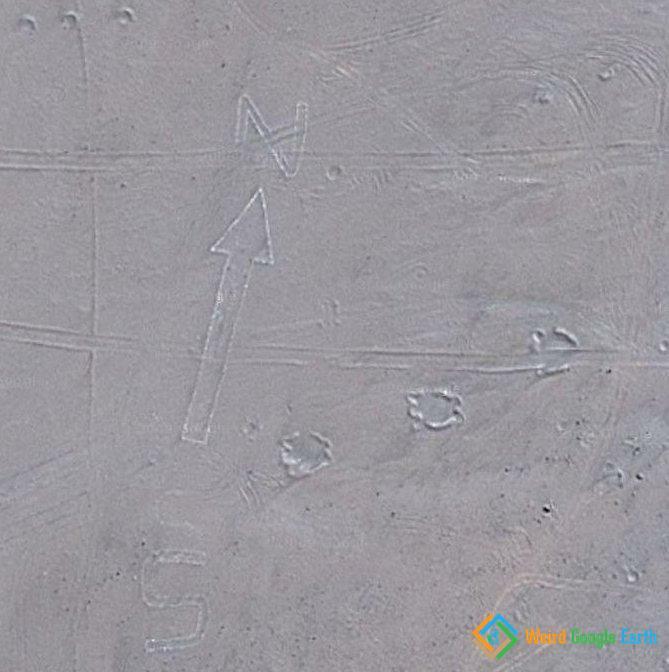 Not the Incas, I guess… Make sure to zoom out a bit and look around. Lots of interesting stuff there. Just to the east of this mark you can see where someone laid out a mock-up of an airport. The craters indicate it was used to prepare for a bombing mission of some kind.